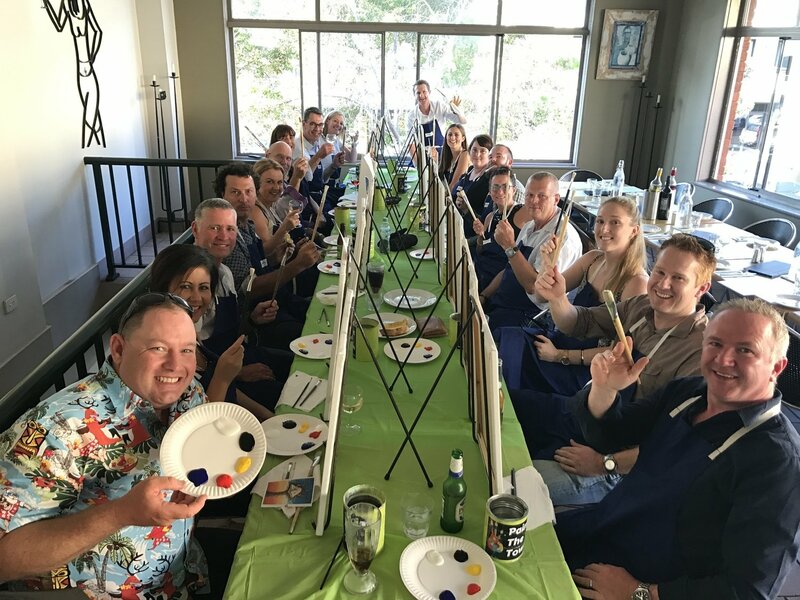 Grab your team, add cocktails and paint, and have a pARTy like you've never had before! All you need to do is the set the date and we'll do the rest for a stress-free experience. Once you pay this deposit we'll send you a Host Party Pack complete with everything you need to celebrate creatively including a party invitation we can customise for free, an email you can copy and flick to your friends, as well as a step-by-step guide on what to expect and how to be the Host with the Most. If you require us to contact venues for your event, please specify in the party details section. This deposit will secure your date and location. Please specify the date and location of your party when paying this deposit. If you require us to contact venues, please specify what venues you'd like. Once we receive your deposit, we will email you our Host Party Pack with all the info you need to have the best arty-party! If you have a discount code, please enter it and your discount will be applied to the total amount owed on party day.